Nathan Petrelli was one of the main characters in the 2006+ TV series Heroes. The series features the emergence of rare super-powers in a realistic modern world. Marital Status: Married (Separated as of Season 2, assumably divorced thereafter). Known Relatives: Peter Petrelli (Brother), Angela Petrelli (Mother), Arthur “Dallas” Petrelli (Father), Claire Bennet (biological daughter), Heidi Petrelli (wife), Monty Petrelli (Son), Simon Petrelli (Son). Base Of Operations: New York, later Washington D.C.. Height: 5’11” Weight: 206 lbs. Nathan possesses the ability of flight. He can reach supersonic speeds and does not seem to suffer any ill effects normally associated with that velocity. He also has been exposed to fires on more than one occasion without much apparent effect. He also shares a close connection to his brother. He seems to know what he’s thinking and can sometimes finish his sentences. 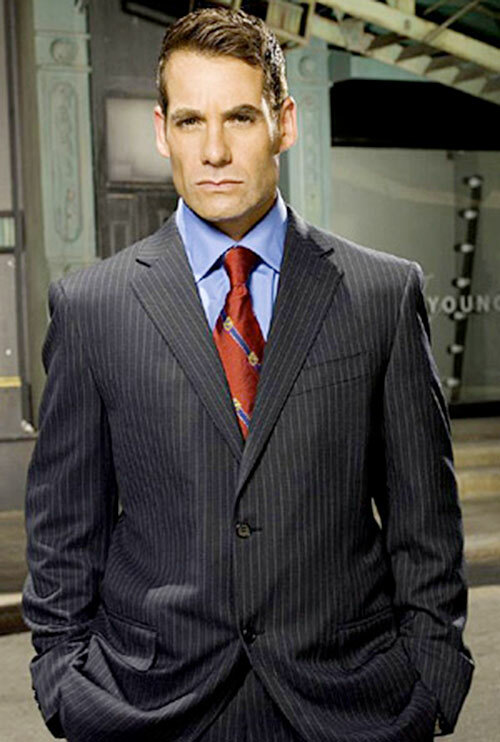 Nathan Petrelli was a young lawyer with the D.A.’s office. He also was an aspiring politician who was running for senate. But Nathan had a secret. Months ago when he and his wife were in a car accident, he had flown from the car. Investigators presumed he had been flung from the car. But he had, in fact, flown under his own power. His wife Heidi was paralyzed, and Nathan was left with a great deal of guilt regarding the incident. In truth, Nathan knew that it had been the men of one Linderman who ran them off the road. Nathan had been pursuing evidence to prosecute Linderman. He also felt guilty thinking that if he had managed to stay behind the wheel, he might have been able to prevent the crash. Not being one to dwell, Nathan moved on and concentrated on his political ambitions. When his brother Peter came to him and claimed that he could fly, Nathan pretended not to believe him. He also discouraged him from telling anyone. However, Peter called him to a building and leapt off, trying to show him he could fly. Much to both their surprise, Peter began to fall. Thus, Nathan was forced to fly in order to try to catch him. Peter was still injured in the fall. They told the public that Peter had been fighting a bout with depression and had been suicidal. A scientist named Mohinder Suresh began to pester him, calling his campaign and approaching him in the street. Since Peter had mentioned a book by a Dr. Suresh in his claims about flying and powers, Nathan assumed that he was there at Peter’s request. He blew him off. But Mohinder was actually trying to warn him about a serial killer named Sylar who was hunting people with special abilities. He traveled to Las Vegas to meet with associates of Mr. Linderman, attempting to get campaign funding. Nathan encountered a lovely blonde woman named Jessica Sanders, and ended up sleeping with her. However, what Nathan didn’t know was that she was a plant by Linderman. her mission was to get blackmail material on the soon-to-be Senator. Linderman would support Nathan, but Nathan would be under Linderman’s thumb. Meanwhile, Nathan came under the attention of The Company, a shadowy organization that monitors people with powers. Two of their agents, a man in horn rimmed glasses (Mr. Bennet) and a Haitian, attempted to kidnap Nathan. Forced to flee, Nathan ran away in his pajamas and bare feet. Landing at a diner, he called for a ride. He ended up meeting Hiro Nakamura and his friend, Ando. Hiro revealed that he could travel through time and space and warned of a dark future. A skeptical Nathan asked who would win his election. Hiro claimed Nathan would win by a landslide. Upon arriving back at Linderman’s hotel, Nathan once again encountered Jessica. Only this time she claimed her name was Niki. Niki explained she had an alter-ego who was the one he had slept with. She claimed that she too was being blackmailed and revealed the plot to Nathan. Nathan used this knowledge to negotiate twice as much funding from Linderman than he had initially been promised. Upon returning to New York, a reporter started asking questions about Nathan’s connections to Linderman. But Peter covered for him. Peter asked for Nathan’s help in getting a painting from Linderman, saying it had something to do with saving a cheerleader and the future. Nathan warned Peter about the kidnapping. Buying the painting, Nathan went to review it with an art dealer, Simone. The painting apparently showed a dead Peter at a homecoming game. Worried for his brother, Nathan destroyed the painting. Soon, Nathan had got a call to bail Peter out of jail in Texas. It turned out that Peter had saved the cheerleader, Claire, from the serial killer Sylar. Nathan was being held by authorities since there had been a murder and he had blood all over him. Charges would eventually be dropped once they identified all the blood as his own. Meanwhile, Peter muttered something about him being the bomb. He then passed out into a mysterious coma. Simone went to the hospital to visit. She revealed that she had shown Peter a picture of the painting Nathan destroyed. Nathan asked Simone to take him to Isaac Mendez, the artist, hoping for answers. He reviewed Isaac’s painting of the future and was especially concerned about one which appeared to show Peter exploding. Hiro and Ando arrived while Nathan was there. They talked about stopping the explosion, but Nathan left to go check on Peter. Finding that Peter had recovered and checked out of the hospital on his own, Nathan sought Dr. Suresh. He thought Suresh might have an idea of how to help Peter. Mohinder explained that Peter was absorbing the abilities of others. They both worried that if Peter absorbed too many abilities, he might hit some sort of critical mass. The two agreed to help one another find Peter so Mohinder could try to find a cure. The two found Peter in his apartment. But he escaped, apparently leaving town. Soon after, Nathan got a call from an old fling, Meredith Gordon. She told him about their daughter, Claire (the same cheerleader Peter had saved). Presuming she was calling for money, Nathan offered her $100,000 to stay quiet. When he delivered the money, Claire was there hidden. Thus, she overheard him saying he didn’t want to get too involved. The FBI approached Nathan. They wanted him to get Linderman talking while wearing a wiretap. When he went to meet Linderman, Niki once again found Nathan. She revealed Lindeman’s plans, including a plot to murder Nathan. He had hired Jessica, her alter-ego to kill Nathan. Niki gave him her gun and had him knock her out to prevent Jessica from taking over. Nathan confronted Linderman, who revealed he knew about abilities and Nathan’s family (including his daughter). Linderman pointed out that Nathan couldn’t survive killing him (due to his body guards nearby). He also said that he had more to offer Nathan. They then made a deal that would eventually lead the Nathan becoming president with the help of Linderman. Linderman showed Nathan a Mendez painting where he was standing in the Oval Office, telling him it would happen after Peter exploded. Nathan reached out to his daughter, Claire. He told her that he wanted her in his family after the election. She revealed to him and Peter the existence of another person with powers named Ted Sprague, who had the abilities of a nuclear furnace. They realized he might be the man who was going to explode instead of Peter. After the others left, Nathan informed Linderman. Claire and Peter observed Nathan meeting with Thompson, the man in charge of the shadowy organization that had tried to kidnap Nathan. It was the same agency for whom Claire’s adopted father, Mr. Bennet, was working. Thompson let Nathan now that they knew who Ted Sprague was. He said that the situation was under control. Eventually, Nathan and Peter’s mother also told Nathan that she was in on Linderman’s plot. She said that he was the leader that would be needed after the explosion. Worried about his trailing poll numbers, Nathan met with Linderman. Linderman reassured Nathan. He told him about Nathan’s father who had been one of the conspirators as well, but had given up. On his way out, Linderman touched Heidi. A few minutes after he left, she regained the ability to move her feet and stood up. When Nathan went to his office, he was confronted by D.L. and Jessica, who told him he should have killed Linderman. Having second thoughts about Linderman’s intentions and plans, Nathan told them where to find Linderman. Nathan went on to win the election in the predicted landslide. Watching a replay of his acceptance speech, Nathan found out from his mother that Linderman had been killed. She also reassured Nathan that soon America would need him. Soon after, Peter and Claire told him that they believed Sylar would blow up New York. Nathan declared that he believed it would be inevitable. However, Peter now had mind-reading powers. Thus, he realized it was a conspiracy that Nathan was part of. Peter disappeared. Nathan took Claire to his mother, but she told him the future wasn’t written in stone and ran away. Several of the people who had powers came together at Kirby Plaza and fought Sylar. They defeated him, but in the course of the battle Peter started to lose control of his powers. Just when Peter believed he would explode, and told Claire to kill him, Nathan flew in. He hugged his brother and picked him up, flying away with him and prevented the explosion from injuring anyone. Nathan is a clean cut politician with rakish good looks. He always dresses in nice suits with expensive looking ties. Nathan is ambitious and logical to the point of being cold. He often appears selfish and arrogant, but this masks his own insecurities. Nathan has seen his father try to do good in the world and fail to his own power lust and arrogance. Nathan has taken up his father’s cross. He will do anything to finish what he started, even to the point of corrupting himself in the process. He is desperately afraid of failing as his father did. Sometimes it’s only his brother’s belief in him that keeps him on the right path. Nathan would be great in the DCU as is even without the rest of the Heroes characters. He could run against Lex Luthor for president! As has been mentioned with some of the other Heroes characters, they could drop in easily to the Smallville Universe. They could easily be what’s happening in New York once Clark hits Metropolis. If Nathan were dropped into the Marvel Universe, he could easily replace Stark in the political arena. It always seemed odd to me that with Stark’s reputation of a womanizer and an alcoholic, that so many people would listen to him in putting together the 50 states initiative. 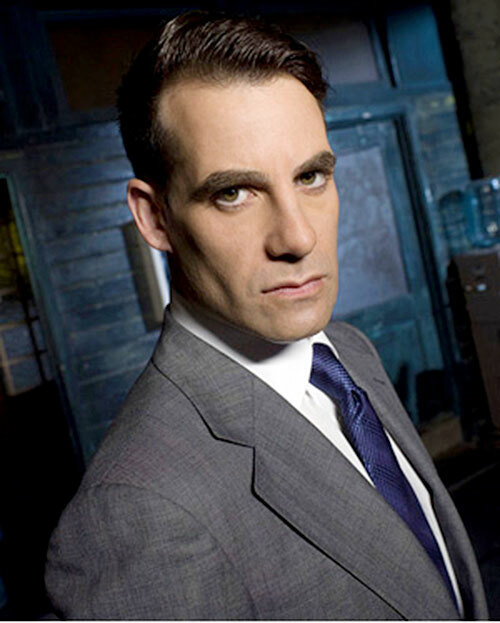 Instead, he could be the money behind the charismatic young politician Nathan Petrelli financing his rise to power. In this instance Stark could be using Nathan to promote his 50 States Initiatives. Even if you still wanted Stark in the President’s cabinet, Nathan could be a mover and a shaker in the Senate getting support for the plan. Empathy is Minor Marginal and limited only to Peter. Flame Immunity includes protecting him from friction and other environmental effects of flying at supersonic speed. Attractive, Popularity, Government Credentials (Senator by Season 3). Daniel Linderman (High), Peter (High), Hiro (Low), Parkman (Low), President of the United States (Low), Military (Low). Limelight, SIA towards Protecting Peter, Minor Psychological Instability (After Season 1 until his encounter with Maury Parkman). Near Real but in recent seasons it has moved towards Heroic. I gave him empathy limited to Peter purely because there are many scenes where Nathan finishes Peter’s sentences or enters the scene and immediately seems to know what’s going on with Peter. The most extreme moment of that is probably the Season 1 finale where Peter and Claire are arguing over whether or not she should shoot him and Nathan flies in from behind a building and makes an appropriate comment even though he was originally way too far to hear. Flame Immunity is there to explain how he can travel supersonic in such a real genre without detriment and how he can survive a nuclear explosion at relatively close range. There’s also an instance in the Graphic Novels where he flies into a burning building and saves a child. There has been some discussion regarding his Charisma. This is written with the assumption that either a) Nathan did become President in the original timeline (the one before anyone “Saved the Cheerleader” where Sylar acquired regeneration and was neigh unstoppable) and had the Charisma to do so or that b) he became President in the 5 Years gone timeline *before* his encounter with Sylar. Either way, I’m making the assumption that part of the reason he was chosen by Linderman and the Company to become their candidate was at least in part that he had the charisma to make it happen. 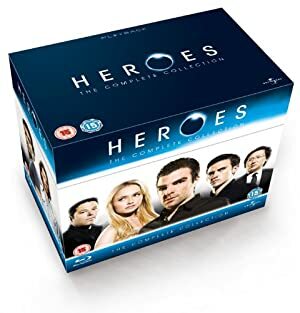 Source of Character: Heroes Television show as portrayed by Adrian Pasdar. Helpers: NBC.com , votepetrelli.com (defunct), Wikipedia, Gareth Lewis and Roy Cowan, Keith Kilbun.